Indian Widows have broken with long held traditions against their Holi participation, in major numbers. Thousands of widows in the holy cities of Vrindavan and Varanasi doused their white mourning garb with splashes of vibrant colors during this years celebration of Holi, welcoming spring radiantly with the rest of India and the world. For many, it had been decades since the fuchsia. Green, blue, and yellow gulal powders covered their bodies due to strict Indian custom which prohibits widows from participating in festivals. The NGO Sulabh International has worked for years to eliminate this and the many other taboos attached to widows. 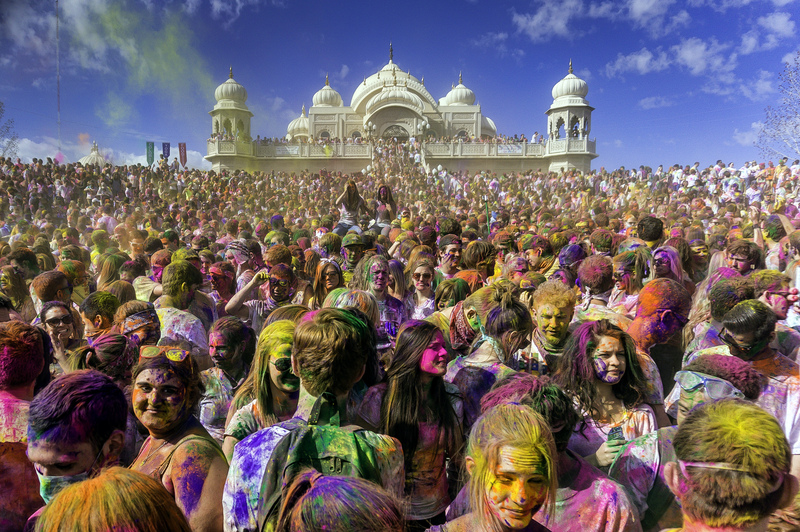 Holi 2015 marked a record turnout: Over 1,000 ashram-bound widows in Vrindavan alone filled the streets to sing traditional Holi songs and dance while 3,000 lbs of flower petals filled the air. Normally limited to white saris – white being the color of mourning – colorful gulal powder transformed their saris into many brilliant hues. Read more about their revolutionary revelry and the additional efforts of NGO Sulabh International at Al-Jazeera.